It’s Christmas Day. I have been enjoying some time with family but it’s been an odd holiday season. In the midst of renovations, I did not even decorate a tree this year. Decorations definitely help to create a festive atmosphere. We realized a bit ago that we had not even opened our gifts today. We were not in a rush this morning and got busy working this afternoon. When I mentioned that we had forgotten the gift exchange my husband responded, “I’m tired. We’ll do it tomorrow.” Now, that is a unique Christmas experience. I have definitely had more “traditional” Christmases. Somehow I know that this Christmas will be one to remember…even if it wasn’t what we typically expect from the holiday. So, today I am appreciating the contrast. 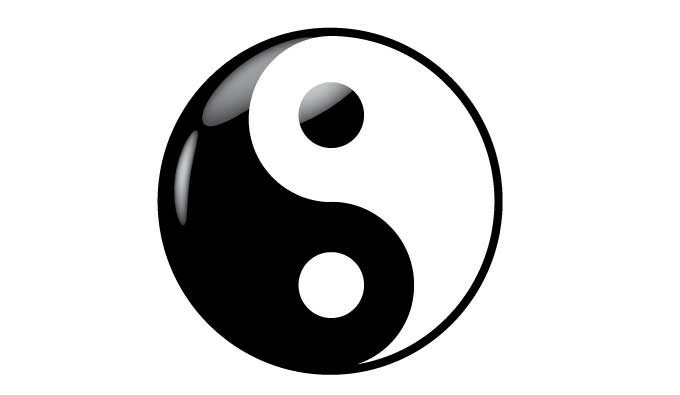 Eastern philosophy uses the yin/yang symbol for contrasting experiences. Here’s a few of my observations where the contrast is apparent and an opportunity for me to find the aspects to appreciate. If I had not been living in the chaos of a renovation project over the past few weeks, I would not have the opportunity to enjoy the process of re-establishing order. Orderliness is my comfort zone. When things are disorderly or chaotic, I feel unbalanced. Chaos has caused me to appreciate how my immediate environment affects me. Renovation creates dust and dirt. No two ways about it. Along with orderliness, I really enjoy living in a clean environment. So, the last few weeks have been pretty challenging. Clean it up this morning and by the afternoon it’s a mess again. But, what an amazing transformation! When things are REALLY dirty, cleaning is an obvious and extreme improvement. Dust, dirt and debris has caused me to appreciate a clean environment. This one might seem backwards to most. Let me explain. I enjoy being alone. Given the opportunity to go to a party with a bunch of people I barely know or spend time with me, myself and I, I will choose the latter every time. No contest. So, my contrast is being around company (family and friends). I have really enjoyed NOT being alone the last 24 hours. And, I am recognizing how much I enjoy being around other people I care about AND how much I enjoy spending time alone. Company causes me to appreciate human interaction…and the lack of it. When we contrast and compare, we can’t help but lean towards our preferences. I would challenge you to notice your leanings and explore the contrasting experience. You might really learn something about yourself. If you’d like to receive updates or even participate in the Moments of Aware Appreciation Movement, make sure you complete the sign-up form. Has this caused you to notice some experiences where you compare and contrast? What would you like to share?